Olga's Special got its name from its special place in my heart - this was the very first colorway I ever did, matching my wedding colors and becoming the center of my bouquet. However this is not your typical wedding flower - dark and vibrant, it's fearless and screams 'look at me!'. The elegant eggplant violet grounds the crazy magenta... a little. 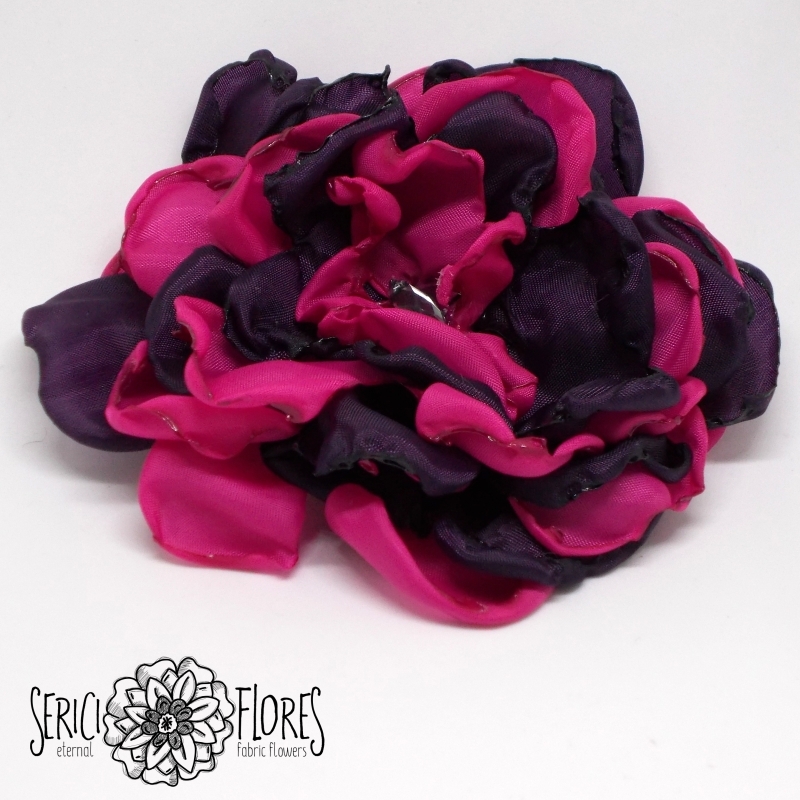 This is a bold flower for a bold person, working perfectly with all the shades of pink, violet, grey and black. Or, if you're really audacious, put it on an orange background and see what happens. Magic!